On July 5, 2011, a decision was reached in People v. Terry Vangelder (2011 DJDAR 9949). The ruling seems to afford a defendant with large lung capacity and a low hematocrit the right to introduce evidence of these characteristics to show his blood alcohol content may be significantly different (lower) than what a breath machine calculates in a roadside DUI test. What to Take Away: A person who runs, cycles or swims a lot has larger lungs, which makes the breath test of DUI subject to inaccuracy. The person, especially if a female long distance runner, often is also anemic, which can make one’s breath alcohol much higher than one’s blood alcohol. Under California Vehicle Code § 23152(b) a constant ratio is applied to every person’s breath content of alcohol to calculate the percentage of blood alcohol for DUI analysis. This constant is known as a partition ratio and it had been the subject of hot debate for years until our legislature stepped in to end the debate. Many suspect the legislative action was out of concern that a persuasive expert could confuse a jury into believing a drunk person was sober, or at least not as drunk as a roadside or police station breath test indicated. Such an expert would testify that every person has different physical characteristics from everyone else, so a “one size fits all” approach is flawed for overlooking one person’s large lung capacity, low hematocrit, diabetes, lower breath temperature, less rapid breathing pattern, etc. The court in People v. McNeal (2009) 46 Cal.4th 1183 interpreted 23152(b) to hold that a defendant may not introduce evidence to challenge the application of a partition ration for an individual defendant. The court in Vangelder seems to reopen the door that the legislature slammed shut in drafting 23152(b) and McNeal thereafter tried to lock. Vangelder follows McNeal, but with a twist. Vangelder ruled that the lower court must allow in evidence to challenge the physiological variables that can affect the breath given before the partition ration is applied. Vangelder specifically acknowledged that such factors could include an individual’s breathing patterns, body temperature, blood hematocrit and breath temperature. In an endurance athlete, such characteristics can vary considerably from the general population. Vangelder implied that evidence of other factors could also be introduced before the partition ratio was applied to show that an individual defendant’s breath sample may contain considerably more alcohol than an average person, causing the machine to calculate an artificially high, inaccurate blood alcohol level. In highly conditioned endurance athletes, the lungs have developed a higher capacity to transport oxygen and to also expel waste products from the blood. Therefore, ethanol, a waste product, would be expelled at a higher rate and in far higher volume because of the increased alveolar structure in an endurance athlete. Theoretically, a machine might calculate a very high blood alcohol content for an athlete due to his or her high ethanol content in his breath. Such a calculation would be in error, however, because the real reason for the high ethanol content was the athlete’s large lungs and his or her well-trained waste removal system. Vangelder suggests that evidence about such individual characteristics is now admissible, but not to challenge the partition ration. Instead, such evidence is admitted to describe the quality of the air tested by the machine. Endurance athletes therefore should feel relieved that if arrested for DUI and tested with a breath test that they can account for the calculated blood alcohol level due to their different physical characteristics developed through endurance sports. What Is the "Mouth Alcohol" Defense to DUI? 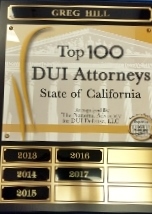 For summaries of our Select DUI Results, please click here.